Do not confuse Orioshuttle with other bus operators! Dear customer, do not confuse Orioshuttle with other bus operators! 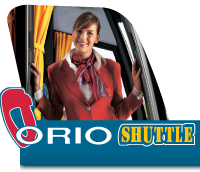 - Website www.orioshuttle.com and the "Orio Shuttle" App are the only authorized way to buy Orioshuttle tickets. - Trust only the following contacts: email under @orioshuttle.com domain or following phone/whatsapp number +39035330706, +39035319366, WA +393468120506.